This is an easy project to get started on those decorations for the Christmas Tree! I stamped one of the images from the Mixed Bunch Stamp Set 6 times onto Whisper White cardstock, then punched them out with the coordinating Blossom punch. 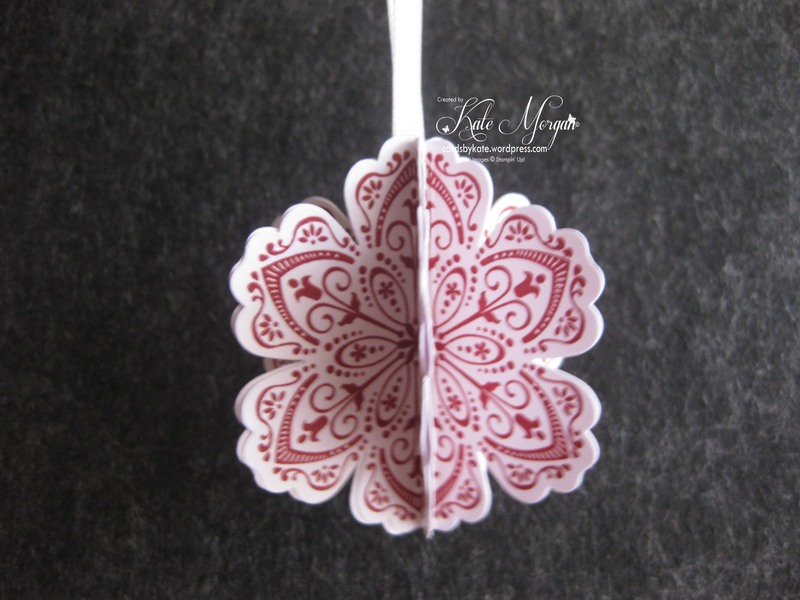 Fold each blossom in half and glue one to the other, until you have 3 glued together. Then glue the other 3 together so you have 2 halves of your decoration. Cut a piece of silver ribbon to about 12″ and fold in half and glue to the inside. Then join the two halves together and you have finished your decoration! So easy, simple and you could make loads of these in a day for teacher’s gifts or just to hang on your Christmas Tree. 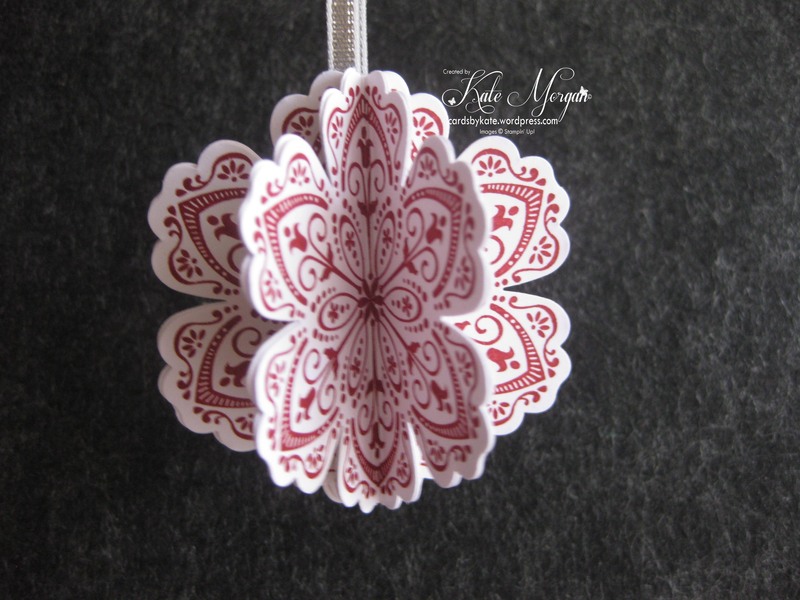 Tagged Bauble, Blossom, Christmas Decoration, Mixed Bunch, Stampin' Up!